Finally, three years of long wait has come to an end for fans of Young Rebel Star Prabhas and young filmmaker Sujeeth, who have been patiently waiting for Prabhas to wrap up Baahubali. 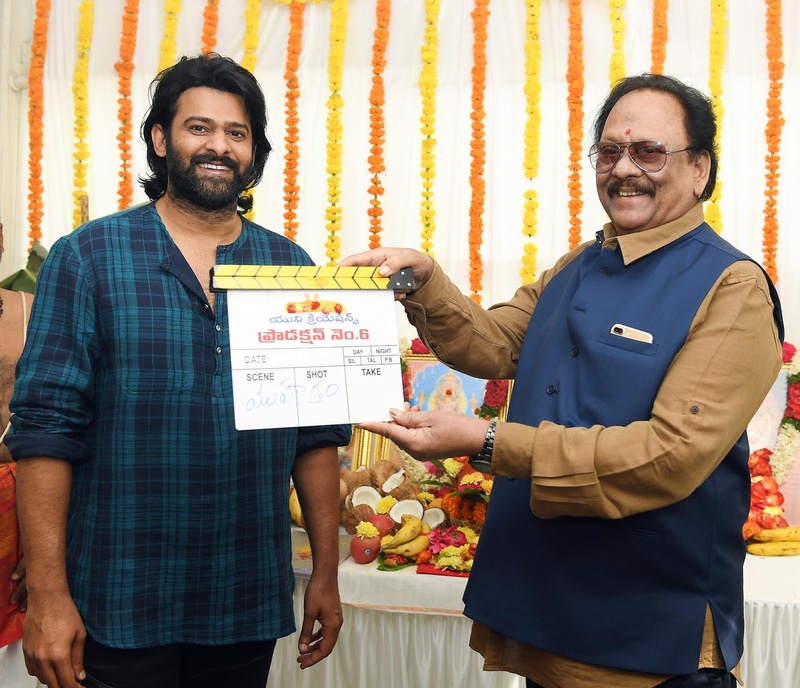 This morning, Prabhas’ 19th movie has been flagged off with a traditional puja ceremony and Rebel Star Krishnam Raju giving the clap on Prabhas. This movie is going to be made in Telugu, Tamil and Hindi with a budget close to 150 crores. UV Creations banner is bankrolling this high budget entertainer. The film features a highly efficient crew comprising of Madhie, Sabu Cyril, Shankar, Ehsaan and Loy. Will Baahubali 2 speak Kannada? Prabhas to play a cop in Prabhas 19?